The Car GuideNewsNissan GT-R50 by Italdesign: Production Confirmed! Nissan GT-R50 by Italdesign: Production Confirmed! The Japanese automaker has just confirmed that the GT-R50 by Italdesign—which boasts bodywork penned by the Italian design firm—will be produced in limited quantity. 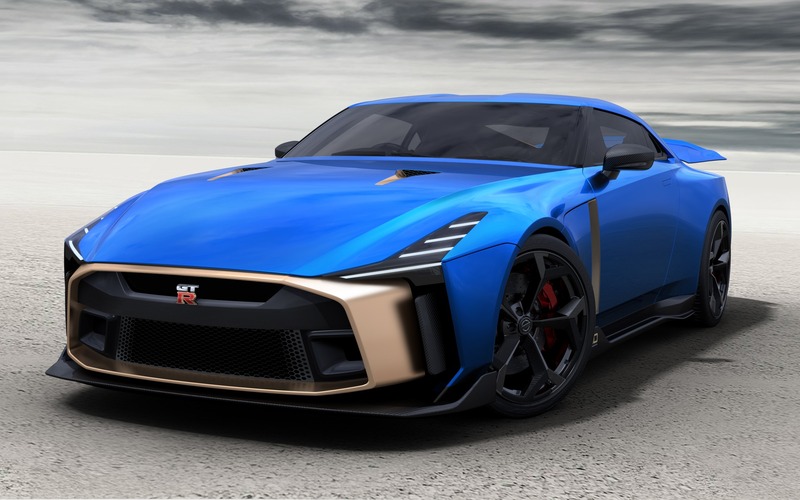 As a matter of fact, only 50 units of the supercar will be sold for global consumption, and Nissan promises that the body is practically unchanged compared to the GT-R50 by Italdesign prototype unveiled last summer at the Goodwood Festival of Speed. Turin-based Italdesign will take care of assembling the car’s body that’s based on the GT-R NISMO. Buyers will be able to choose the colour combination they want, for both the exterior and the car’s cockpit. No changes have been announced underhood. The GT-R NISMO relies on a twin-turbo, 3.8-litre V6 that develops 600 horsepower and 481 pound-feet of torque, a dual-clutch six-speed sequential automatic transmission and an all-wheel drivetrain. The Nissan GT-R50 by Italdesign celebrates the 50th anniversary of both the GT-R and Italdesign. Each copy will retail for 990,000 euros before taxes and options, which amount to roughly CAN$1.5 million, and deliveries will stretch out during 2019 and 2020. If this car strikes your fancy, visit Nissan’s website at www.gt-r50.nissan to start the ordering process.